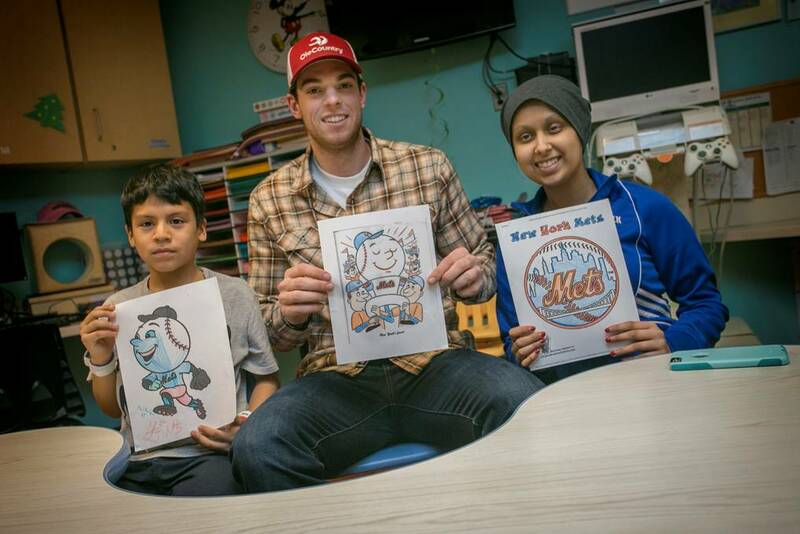 When Steven Matz made it to the major leagues, he knew he wanted to give back to the New York community. 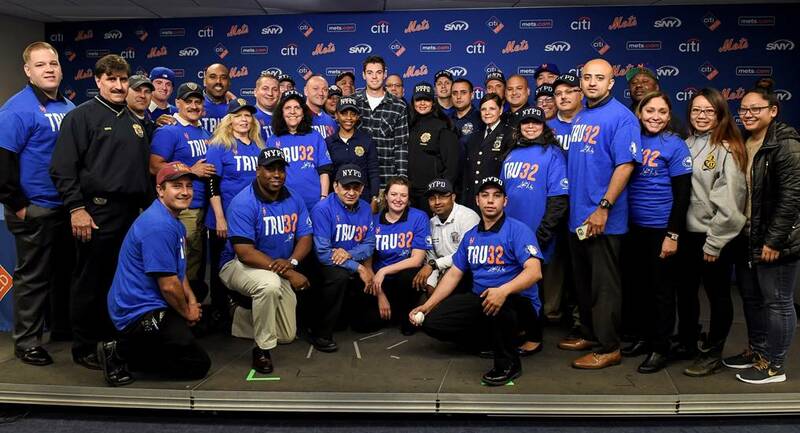 So Matz started the TRU32 campaign in 2016 as a way to acknowledge and thank first responders from the area for their tireless efforts in keeping communities safe. Matz, who wears No. 32, has hosted 32 first responders at every Wednesday home game during the 2016 and 2017 seasons. “They sacrifice their lives in their line of work, so just to show appreciation to them is what it’s all about,” Matz told ABC 7 New York. From Long Island, Matz, age 26, was a homegrown talent and came up through the Mets’ farm system. He made history as the first New York-native pitcher to start a playoff game for the franchise in 2015. In addition to hosting first responders at home games, the TRU32 program also funds scholarships for children of first responders whose parents have lost their lives in the line of duty. Why first responders? If he had not played professional baseball, Matz says he would have become a firefighter. Additionally, Matz partnered with Angela’s House of Long Island during the 2016 season to actively raise over $20,000 for local families and children living with severe medical conditions. Matz has also supported the Cal Ripken Sr. Foundation by donating baseball equipment to local youth leagues. His teammates have recognized his continued efforts in bettering the community by honoring him as the team’s 2017 Marvin Miller Man of the Year nominee – a nod that comes with a $2,500 grant from the Players Trust to the charity of his choice. Last week, fans selected Matz as the NL East finalist for the award. The winner of the award will be announced in early November on MLB Network during broadcast of the 2017 Players Choice Awards. 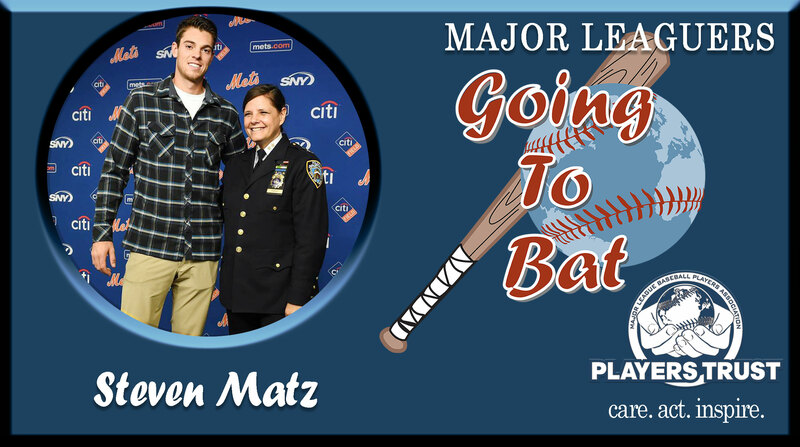 Major Leaguers are #GoingToBat for causes near and dear to them, as they personify the Players Trust’s motto to ‘care, act and inspire.’ To learn more about the charitable interests and activities of Steven Matz and other Major Leaguers, please click here.